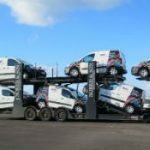 RME introduce compulsory TRIP training for all drivers. 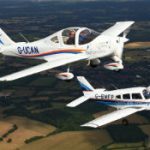 Aerobility share their Farnborough Airshow 2018 memories with us. Please visit our dedicated Farnborough Airshow website. 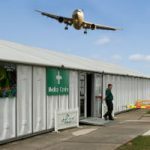 Place your order with us for this year’s Farnborough International Airshow. As one of their product sponsors, we are following all the Project's news! Save The Children’s Christmas Jumper Day at RME Services! RME joined in to help make the world better with a sweater! Contract awarded to RME for fit-out of the new Exhibition space. RME awarded several new contracts for Lambeth Council. The Airshow is upon us! Visit our dedicated website for more information. February 2nd sees RME turn 20 years old! World’s Biggest Coffee Morning comes to RME! We drank coffee and ate lots of cake - all in the name of charity! RME's FORS status upgraded to Silver! Read more on the process we went through to be awarded this. RME take part in Christmas Jumper Day! We donned our festive woolies and raised some cash for Save the Children! RME in case study on how to cut business costs. 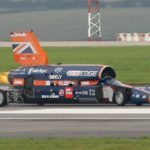 RME awarded the electrical contract for the next 3 Farnborough Airshows. Union Jacks were aplenty in the RME office! The 2012 Farnborough Airshow is edging ever nearer! Preparation for the upcoming Airshow is well under way! RME replace the majority of vehicle fleet with new eco engines. Following 15 years with our existing logo, RME revamp logo and branding. 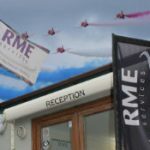 RME confirmed as Official Electrical Contractor for the next Airshow.